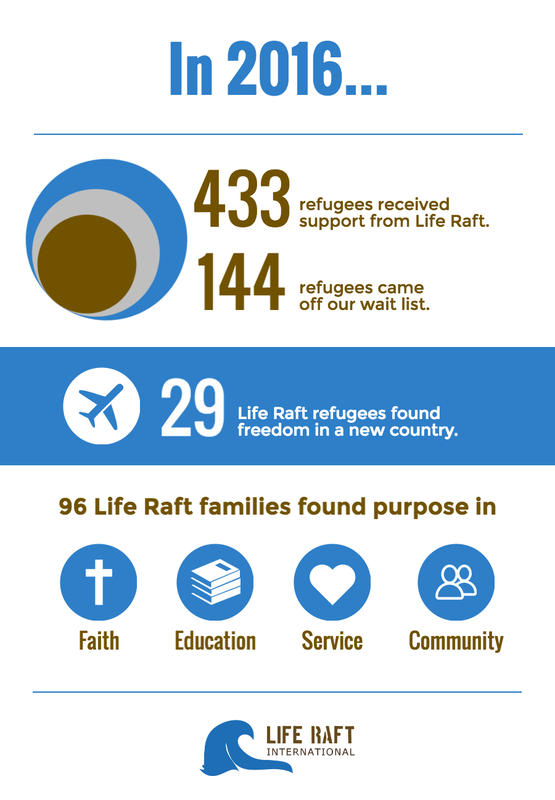 Last spring, Ron and Miriam heard exciting news: The UN Refugee Agency was accelerating their appeal for refugee status. After fleeing persecution in Pakistan with their three children nearly five years ago, Ron and Miriam eagerly awaited the UN’s decision. They desperately hoped the UN would accept them, and help them find freedom in a new country. Three months ago, Ron and Miriam learned that the UN had rejected their case. This decision devastated their hopes of moving to a new country, but it could not keep Ron and Miriam from experiencing freedom. A Life Raft church in Bangkok has embraced Ron and Miriam, empowering them to live purpose-filled lives. Ron and Miriam are now serving at their church, gaining vocational skills, and enabling their children to get a high quality education. Thanks to your support, and their church community, Ron and Miriam have discovered that when they focus on the opportunities God has for them in Bangkok, they are able to experience freedom. We believe that no matter how difficult our circumstances are, God has a purpose for us. Even as Pakistani Christians face increasing despair in Bangkok, you enable them to live with hope in a loving community.